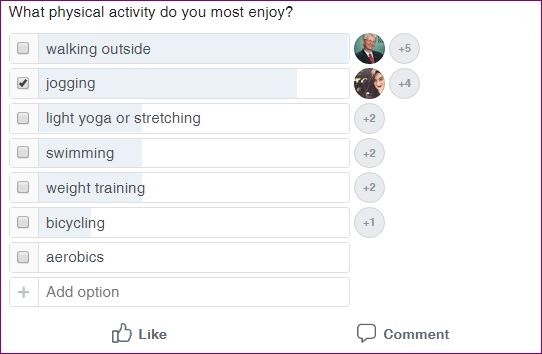 Questions posted on Lingraphica's TalkPath News Facebook group page ranged from specifics about their experiences with communication to questions about recreational activities and aphasia-related media. 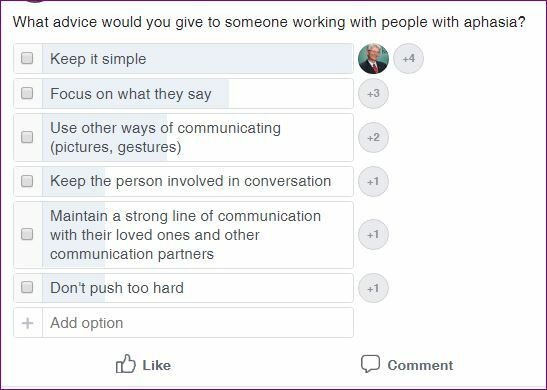 We learned that Facebook polls yield the greatest number of responses to questions that we pose in our TalkPath News Facebook group. Providing a means to select a response with a single click from pre-set choices allows individuals who may have difficulty reading and writing to more easily participate in the social media platform. It serves as an informal but effective way of stimulating connection within our Facebook community. There is also an option for someone to type in their own response, if none of the pre-set responses fits, which encourages individuals to share their voices. Aphasia can be isolating, and this year for Aphasia Awareness Month, our goal was to continue encouraging individuals with aphasia to share their voice and to connect with one another. Incorporating multiple-choice polls gives people with aphasia an opportunity to connect with others living with aphasia. Most importantly, each individual can see that he/she is not alone. 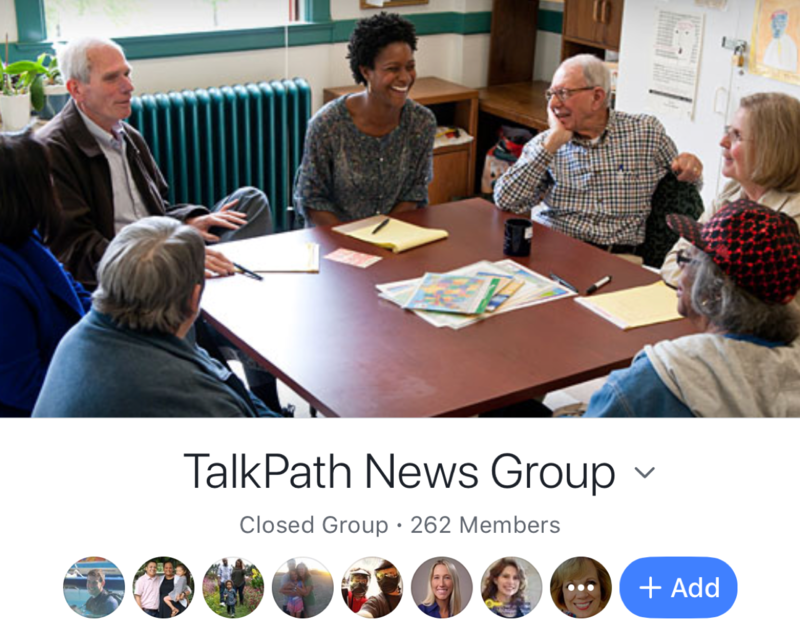 We encourage you to join the TalkPath News Facebook Group and enjoy the online engagement!